It is true that if customer loyalty were easy to come by then every business would be showing successful program retentions and extensive revenue growth year after year. So, how much loyalty is necessary to be successful? For retail-petroleum or convenience-store (c-store) site owner/operators who offer a carwash, research data suggests that retaining just 5 percent more of the customer base can mean as much as a 50 percent gain in revenues*. For most owner/operators, those kinds of numbers make the investment in loyalty programs well worth it. So, why does loyalty pay so well and how can an operator achieve a level of customer loyalty that ensures success month-in and month-out? It begins with understanding that attaining customer loyalty is not easy — but, when achieved, it pays dividends far beyond any month-to-month retention program or a one-time discount coupon offer. Those loyal customers, who can be counted on to return to a business time and again for a product or service, often do it not to save money, but to feel special, feel appreciated or as a convenience for their personal time. Like most aspects of successful businesses, loyalty comes down to bottom-line decisions. What a carwash loyalty program needs to do is build and cement a strong, positive feeling about a specific carwash. In fact, in their fast-paced, jam-packed daily schedules, customers have a lot on their minds. They have a lot of businesses and services fighting for their attention. Any c-store operator hoping to secure loyal customers for his carwash must be willing to fight. Fight for their attention, fight for the right to be their choice for a carwash, fight to win their loyalty. There are many paths to creating loyal customers, but it all starts with communication. From the attention garnered by a modern sign that draws potential clients to a certain facility, to the messaging they receive at the entry station, to the very real opportunity to land a return customer with a follow-up ”thank you” email, communication is critical to getting customers’ attention, holding it and re-engaging them in the future. Give customers a reason to return to your carwash. Start by focusing on keeping the messaging fresh, don’t let things become static, worn out or dated. In order for a loyal customer to return, there must be some tangible payoff, a real benefit. If they are on the other side of town, will they make the effort to return, or will they do what is convenient? When it comes to a loyalty program, the golden rule is: You get out of it what you put into it. Good c-store operators are good at customer satisfaction, which is the foundation of customer loyalty. Customers have to be satisfied before they can become loyal. If a car wash satisfies a customer, it doesn’t automatically mean they will return for future washes. Therefore, operators must create extra incentives to really make sure customers are loyal. Consider offering loyal customers a special car wash lane or providing “loyalty” discount incentives. The nail in the coffin for any c-store operator with a carwash is complacency. In order to create an effective loyalty program, an operator must be willing to go the extra mile to communicate and appeal to customers. Assuming a traffic pattern or catchy sign will keep them lining up outside the bay or tunnel year after year is not a sustainable revenue-growth model. Recognizing that every customer wants great service, ease of use and efficiency in their carwash operation, creating a loyalty program that is successful must begin with understanding the customers’ habits, likes and dislikes. Ask yourself: What kind of experience do I need to deliver in order to create a return visit, or even better, a loyal customer who will return every time? 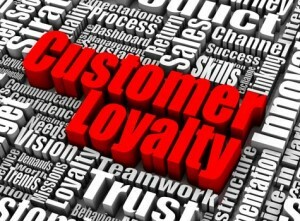 Actively working to connect with customers, creating and maintaining relationships, should be the first expectation in starting a loyalty program. The challenge is to choose the correct system for a local market based on demographics and competition, and to constantly monitor customers to make sure that the carwash is on the winning side of the market. Whichever loyalty process is selected, the carwash operator must be clearly focused on it and confident that it is performing well. Change is necessary to keep things fresh, but changing a program or loyalty approach should not be done for the sake of change, it requires having a target or goal from real data or behavioral patterns. When it comes to loyalty programs, technology is a friend. From the intuitive nature of the entry station to the online application the driver interfaces with at a website, to a cellular app that reminds them of existing loyalty credits or a free carwash, technology can manifest itself in many forms. Good use of technology starts with hardware that needs to be capable of interfacing with the client in an easy-to-use, intuitive manner. Ad screens at entry stations can deliver special offers, incentives for loyalty, or possibly even a local business who may reciprocate in a co-branding arrangement. The entry station should also be capable of efficiently assisting the clients through the purchasing process, ensuring a simple process will help create a positive experience. Radio-frequency identification(RFID) technology is one of the most exciting pay-station advancements of recent years, mainly because it makes the entry process hands-free and no-hassle for loyalty-program members. An RFID transponder embedded on the driver’s vehicle registers as the driver approaches the wash entrance. An RFID reader captures the driver’s account information and relays it through the pay station’s software system, which will automatically begin the wash process. The client will not even need to roll down the window. This is another means of focusing on generating that positive experience for your clients. Subscription accounts offer clients increased flexibility to match their personal lifestyle and individual wash needs. Subscription-based programs are great incentives for the loyal customer. Set up as a loyalty benefit, this style of account allows the client to have their credit cards automatically charged on a monthly basis in exchange for convenient use at your car wash. This type of program illustrates outstanding use of technology to identify the loyal customer who might be offered the special benefit, while delivering a virtually labor-free opportunity to provide special treatment and service at the carwash. Direct withdrawal of the funds ensures that little time is needed by the customer to manage the account. This is a win-win for the owner/operator — and the client. To provide success for the car wash operating in a competitive petroleum-retail and c-store marketplace, making an effort to set up a loyalty program that can attain a 15 percent to 20 percent retention rate is well worth the cost and effort. To ensure that once a level of loyalty is achieved it is not squandered, it is up to the operator to initiate direct communication and utilize technology and data to sustain a program. Sustained success and incremental revenue increases are the payoff for those efforts.